Captain Leonard Destin founded Destin, Florida in 1852 after multiple voyages to the Florida Gulf Coast. Leonard Destin established this small fishing village in what was known as Moreno Point. True to his Connecticut roots, Destin and his new bride Martha McCullom designed their home in the style of a New England cottage. Today, the site of Leonard and Martha Destin’s homestead is the location of Captain Leonard Destin Park. Drawn by Destin’s success in the fishing business, families came to the area to try their luck. With more settlers arriving after the end of the Civil War, a close-knit fishing community continued to grow and thrive. In 1950, then Florida Governor Leroy Collins visited Destin and only had an hour to spend out on a fishing boat. Because of the harbor’s close proximity to deep waters, Collins was able to catch a 29-pound king mackerel and stay on schedule. The big catch led Governor Collins to name Destin the “World’s Luckiest Fishing Village” in a statement to the press. Destin’s quick access to deep waters continues to ensure that its a top fishing destination. Home to the largest American charter fishing fleet, Destin also boasts beautiful beaches, great restaurants, and family fun. Destin was founded on fishing, and fishing’s importance in the area has not lessened over the last century and a half. Destin boasts North America’s largest charter fishing fleet with over 150 charter boats in its harbor. 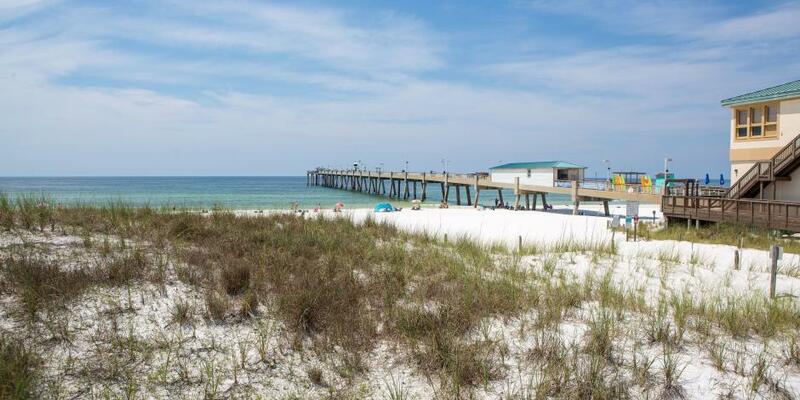 Destin’s fishing fleet is large because its location makes it a strategic fishing ground. From Destin Harbor, it’s only a 25-mile boat ride out to the 200 ft drop-off, the 100-fathom curve, into the deep waters of the Gulf of Mexico. Here, anglers pull up seasonal sport fish such as four different kinds of snapper and triggerfish. Plus, deeper waters mean bigger fish including tuna, billfish, and sharks. Most ports along the Gulf Coast require at least a 60-mile ride out to the deeper water. Destin’s close proximity to the drop off make it a great starting point for access to deep water fishing on the Gulf Coast. 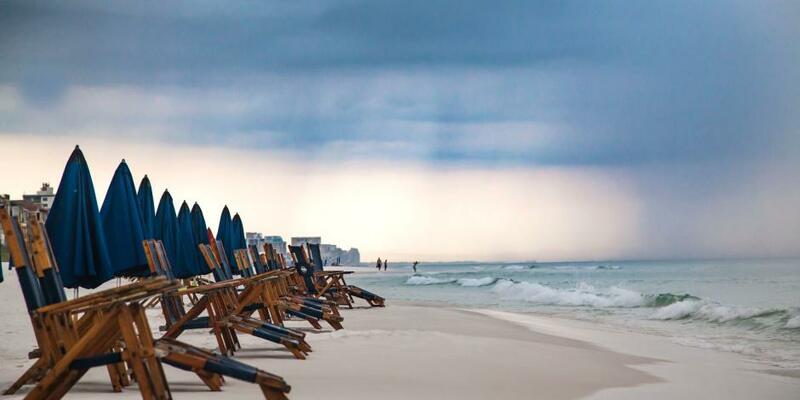 Destin’s beaches, like those of Okaloosa Island and Fort Walton Beach, are part of the beautiful and distinctive Emerald Coast. Here, the naturally sun-bleached beaches stay remarkably cool on bare feet. Their fine sand grains squeak like fresh powder when people walk on them. Their inviting emerald green waters continue to mesmerize both locals and tourists alike. But where does Destin get its signature white sand from? 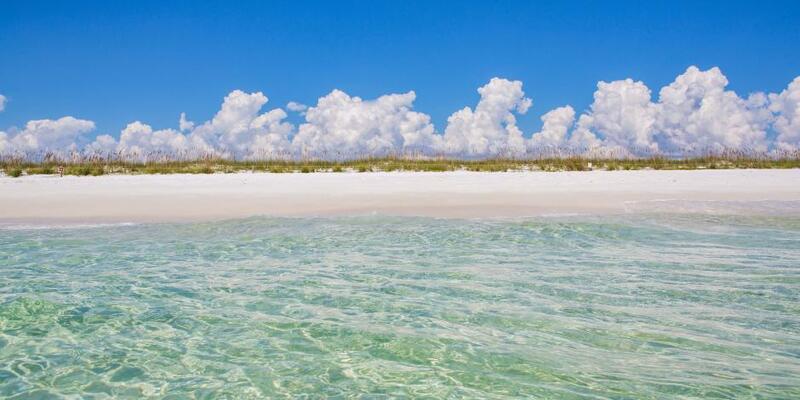 Destin’s white beaches are fed by the Appalachian Mountains through the Apalachicola River and are composed of 20,000-year-old quartz. Whether it&apos;s the freshly caught catch from Jackacuda&apos;s or the sunset deck at Harry T&apos;s, HarborWalk Village delights with a little something for every beach vacationer. By day, explore and play on the zipline or rock wall courses at HarborWalk Adventures. When you’re zipping high above the harbor, look out and see the bounty that the Emerald Coast’s sandy white beaches have to offer. By night, wine and dine at the many Gulf-to-Table experiences sprinkled around the harbor. Need a challenge to bring out the kid in you? Try The Gulf Coast Escape Room for mystery-solving excitement featuring zombies, voodoo, and creepy dolls. At last, don’t forget to let everyone know you enjoyed your experience in Destin, FL with gifts and mementos from one of the HarborWalk Village’s many boutiques.